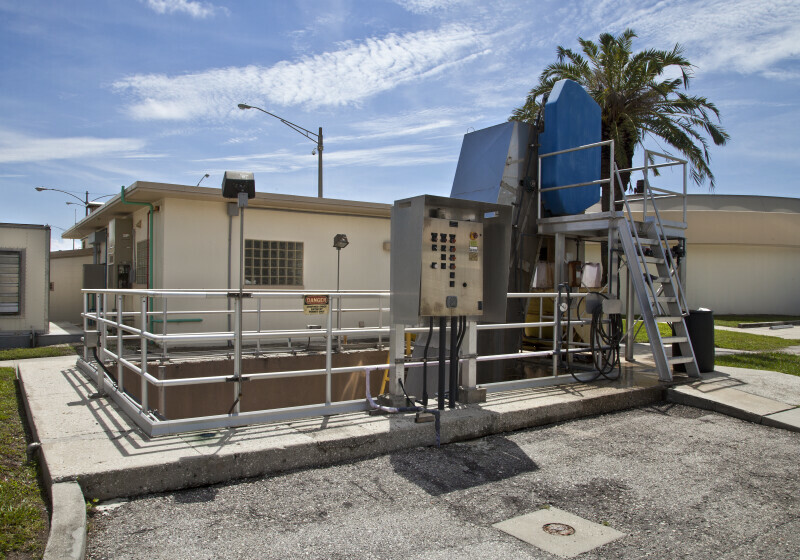 The bar screen removes large objects from the sewage stream. The debris is carried up by the blue conveyor and deposited in the yellow container for removal. The old influent pumping station is immediately behind the bar screen.